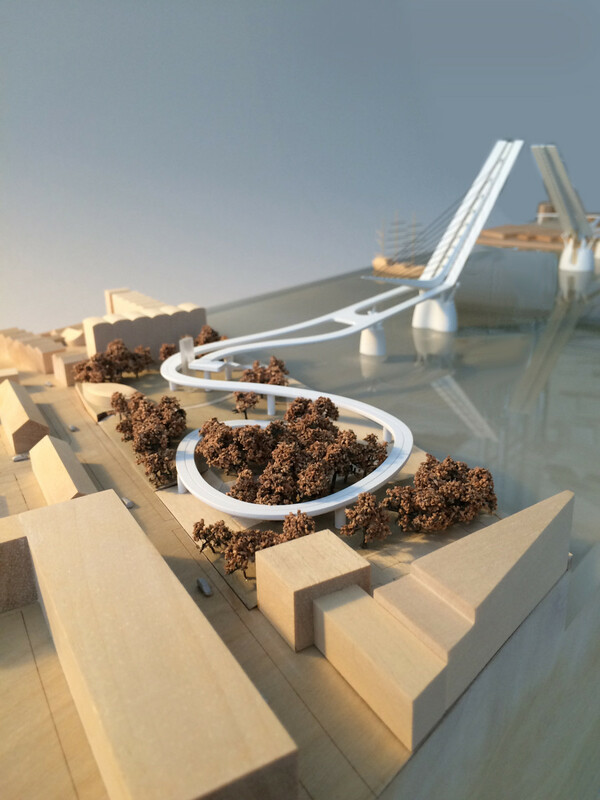 Following on from the launch of our Rotherhithe Bridge design last year, reForm and Elliott Wood have now commissioned a physical scale model to help explain the concept, form and local context to future interested parties. 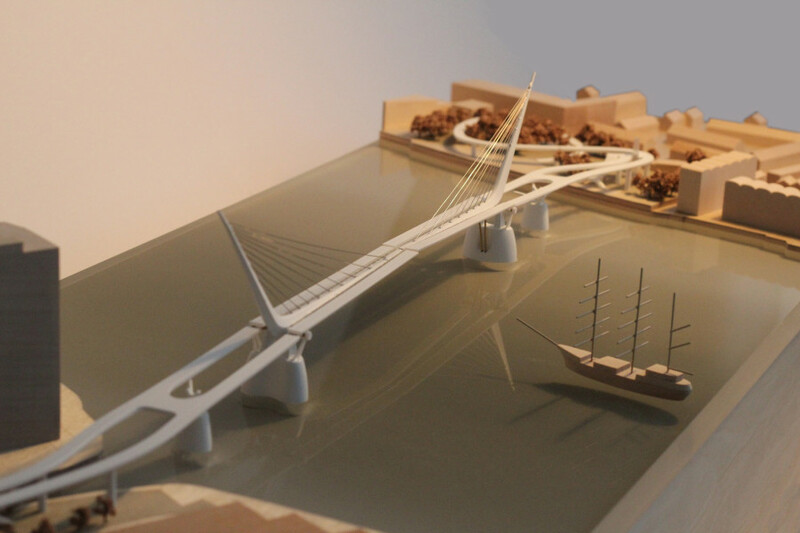 As we continue to promote our registered bridge design, we felt that a 3-dimensional physical model would help to capture the imaginations of those we meet to discuss our proposals, and those we meet at events and exhibitions. 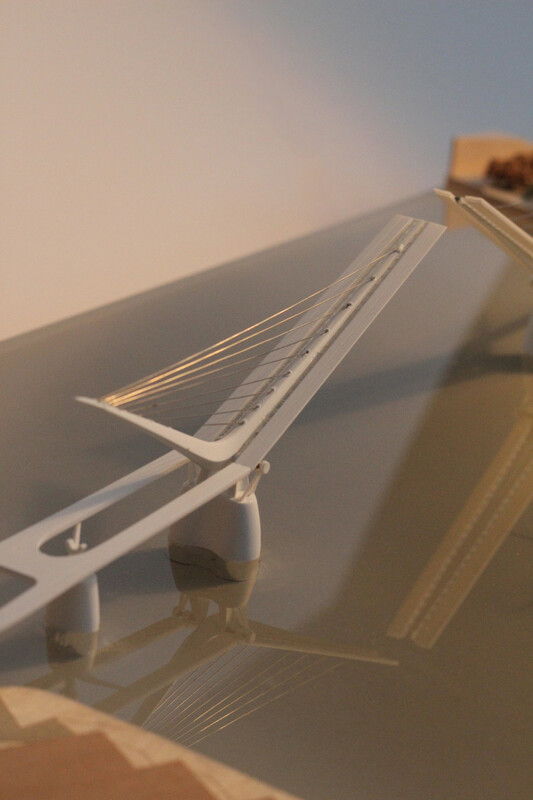 A key component of the brief to the model makers was to construct an opening and closing bridge. This is obviously the most important element when explaining the concept. 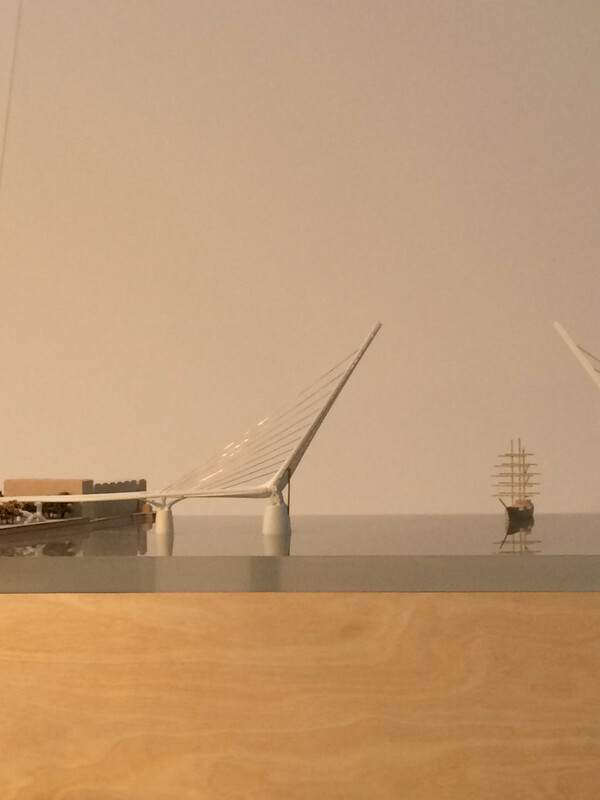 The bridge span across the Thames is designed at 184 metres, so scaling this down to 1:750 scale meant creating a mechanically opening and closing physical model with a tiny comparable span of 24 centimetres – this miniaturisation of the moving parts proved trickier than we first thought to realise, but as you can see from the film below, the final outcome is fantastic. 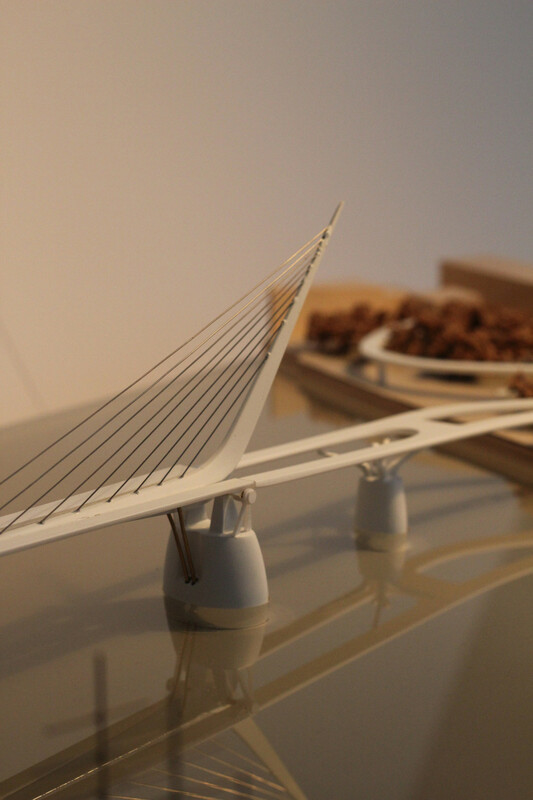 Amodels did a great job in representing the elegant motion of the bridge, complete with ‘pauses’ when open and closed to allow these conditions to be appreciated. 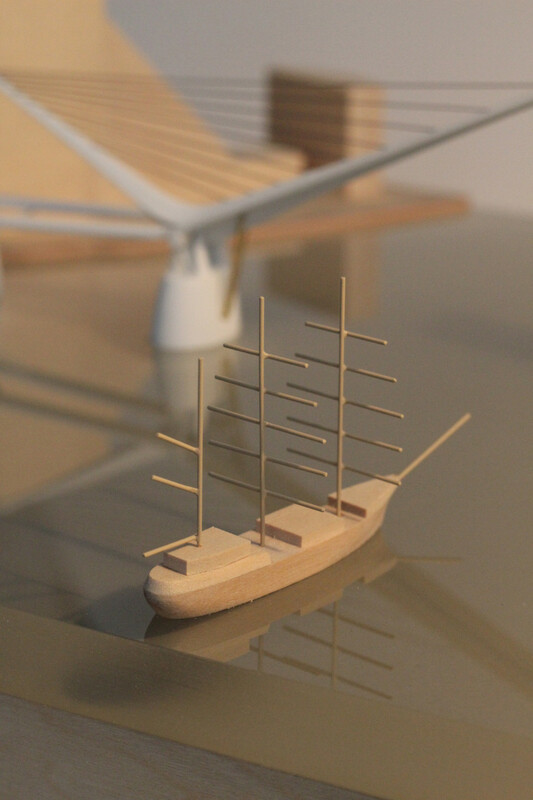 The model represents a great mix of traditional and cutting edge model making. The hand crafted wooden site context show the scales of the buildings on each bank in relations to our bridge, with the footprints of the granted planning consents on the Canary Wharf side shown as orange plinths. 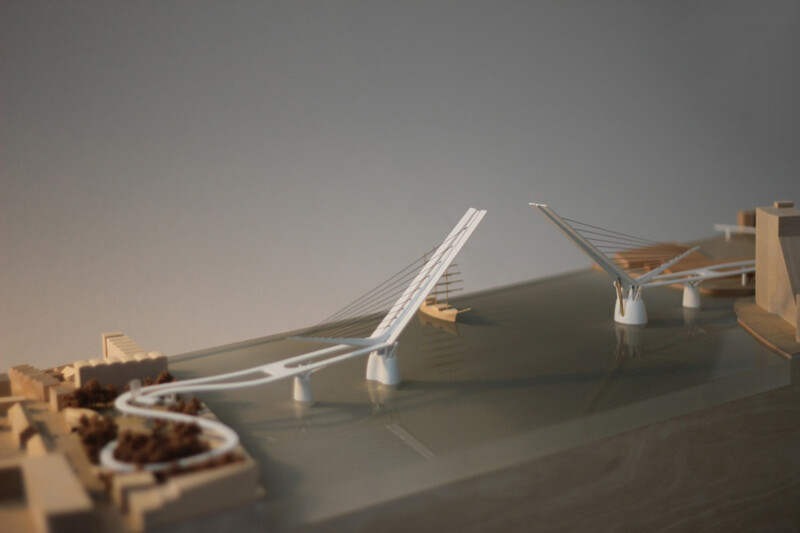 The two bascules and four piers are modelled in a crisp white polyamide, 3D printed from reForm’s very own computer model. 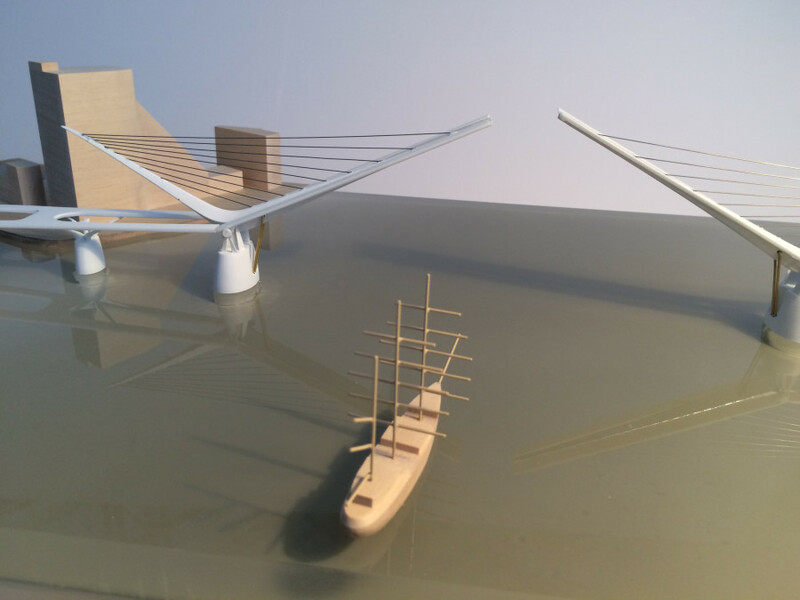 The bascules are lifted up and down by a pulley system running through the 3D printed piers, and concealed in the base of the model, we have tried to achieve an opening and closing mechanism that looks as realistic as possible to how it would look in real life. 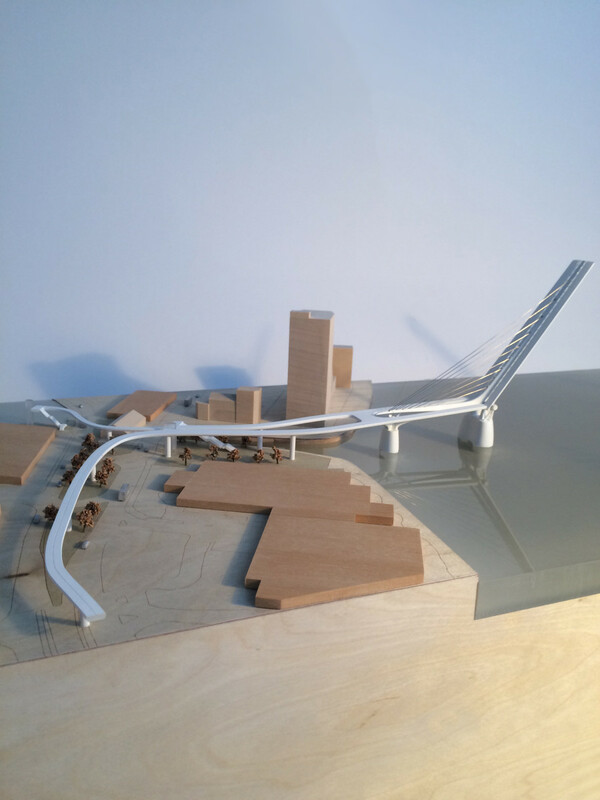 Finally, the white ramps link the new and the traditional elements of the model beautifully, winding through the cork trees of Durand’s Wharf on one side, and around the buildings of Canary Wharf on the other. 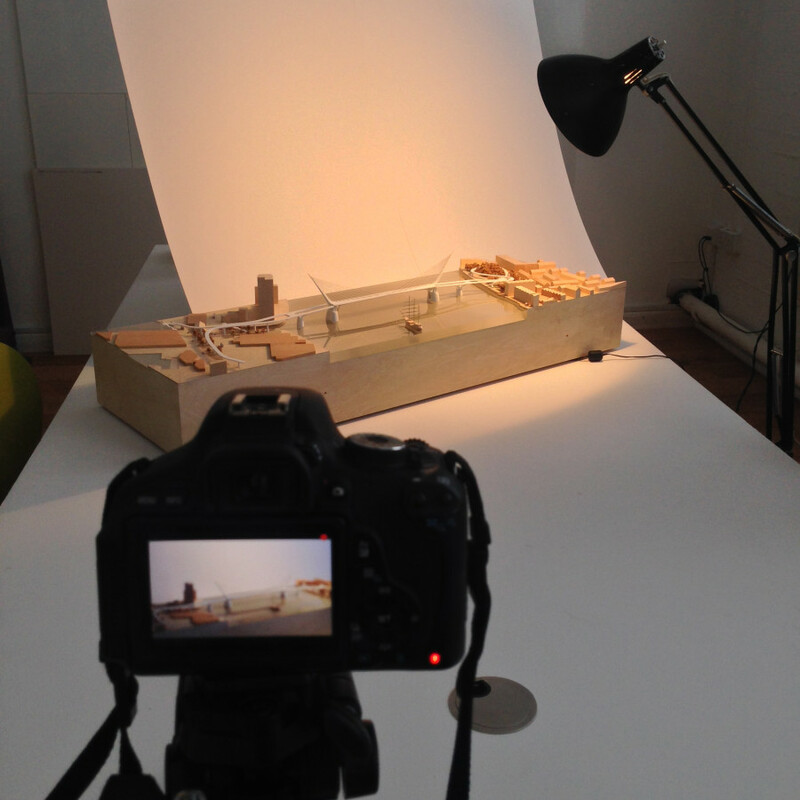 We would like to thank Amodels for their efforts and persistence on this complicated project. We think the outcome looks great, and will be a valuable tool as we continue to promote and develop our registered design.